Sponsor a Shabbat, holiday, or weekday meals for our orphaned and disadvantaged girls at Lev Lalev, in honor of your birthday or another special occasion. Each sponsorship will be graciously acknowledged: your name will appear in in the dining room at the Home where the girls eat. Additionally, each sponsor will be highlighted in the newsletter and on our website. If you donate and have not already registered, you will receive periodic updates and communications from Lev LaLev Fund. Lev Lalev Fund is a registered 501(c)(3) non-profit organization, registered under EIN # 20-5395832. 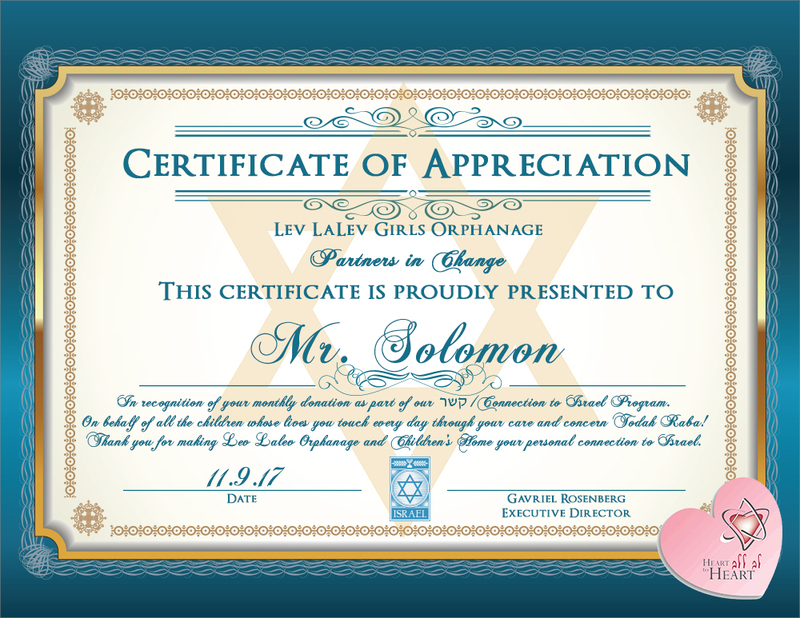 Donations to Lev Lalev Fund are tax deductible in the USA.